The Club Room Collection is part of the Bassett Performance Fabrics Collection of American Made Upholstery. Available in Linen or Flax with your choice of accent pillows. Pick Your Style - Pick a style that reflects your personal decorating taste. Select Your Pieces - The collection includes a sofa, loveseat, sleeper, chair and ottoman. 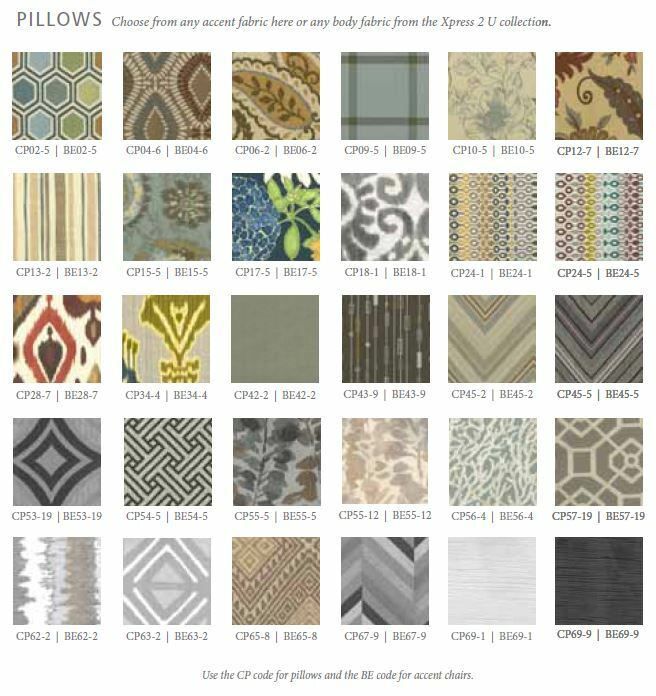 Pick Your Pillows - Select your pillows using any Xpress 2 U accent or body fabric. The Bassett XPress 2 U Collection of Quick Ship Upholstery.